Description: "Chart a new course with Daymark as your guide. We start with a classic, clean and crisp American pale ale brewed with spicy Columbus and Centennial hops. Then we accent the grain bill with rye grown on small local family farms right here in Maine and malted to our specifications at Valley Malts, an artisanal malt house. Finally we dry hop the finished beer for a bright floral aroma." — Rising Tide Brewing Co. The tasting: Golden in color, hazy, with a big frothy head that lasted the entire drink. This is bottle conditioned so there was some sediment at the bottom, as expected. The aroma is huge! It has loads of citrus—grapefruit, lemon, and even orange. There are light floral notes and some earthy hops even manage to poke through. The flavor starts with grapefruit and piney hops. In the middle, the spicy rye emerges. 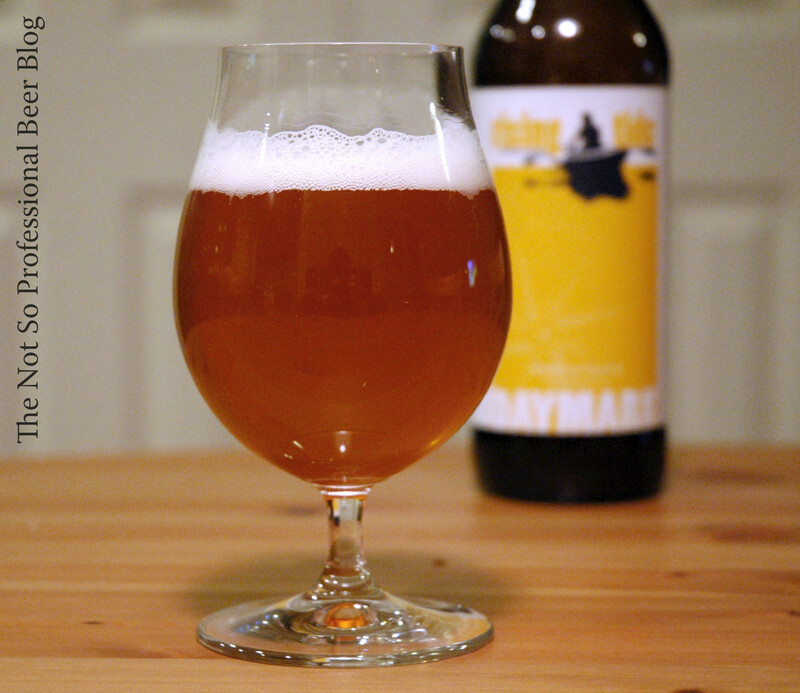 Daymark is light to medium bodied, moderately carbonated, and finishes with tangy rye, bitter grapefruit, and a touch of alcohol. As you may have surmised, this is a hop forward brew. Rating: 4 star. Really Good! I want this again! A few things about Daymark stood out for me. First, the aroma—you can smell this beer for hours and keep discovering different nuances. Second, I like its use of rye. In the handful of rye beers I've tasted, the rye was usually too subtle for me. The rye in Daymark is not hidden and provides a nice tangy kick without being overdone. Thanks again to Carla for giving me the opportunity to try Daymark! 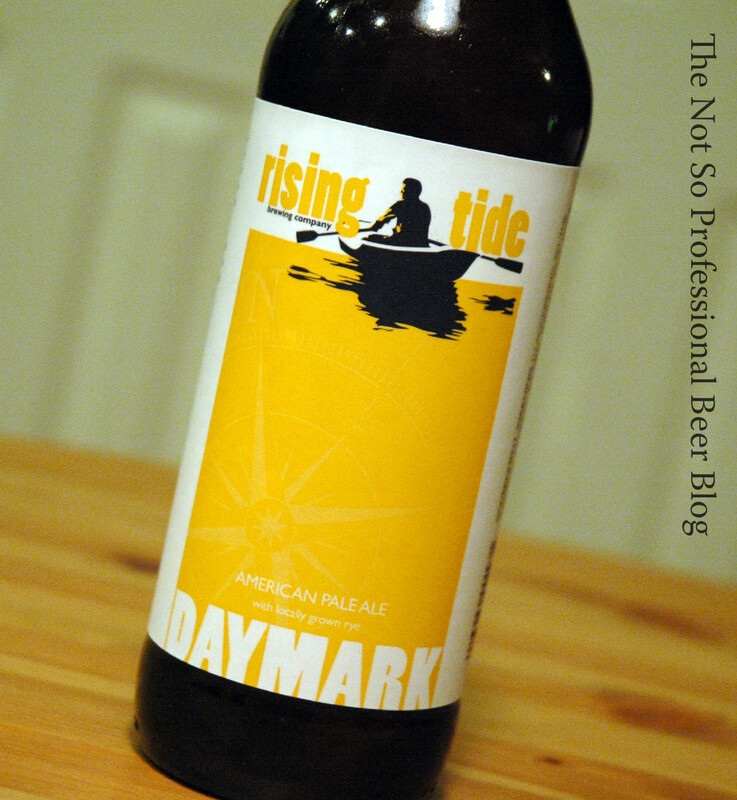 It has certainly piqued my interested in Rising Tide's other beers. I guess I'll have to visit the other Portland to try them. Roadtrip?!? Have you tasted Daymark or any other Rising Tide beers?